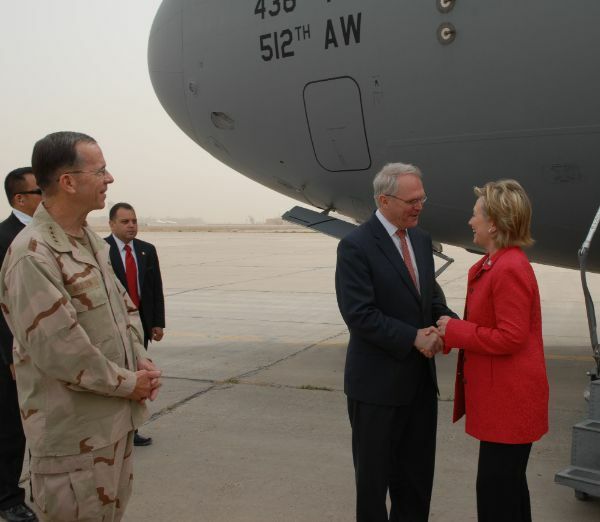 Secretary Clinton has arrived in Baghdad, Iraq, April 25. The unannounced visit to Iraq is her first trip as Secretary of State. She was met by Ambassador Chris Hill who got to Baghdad yesterday and Admiral Mike Mullen, who was also in Iraq on an unannounced visit. Secretary Clinton reportedly will depart later today for Kuwait. The press release indicates that while in Baghdad, Secretary Clinton will meet with Prime Minister al-Maliki, President Talibani, Deputy President al-Hashimi, Foreign Minister Zebari, and other senior leaders in the Government of Iraq. They will discuss issues of common concern including security, stability operations and assistance. She will also meet with Multinational Force-Iraq Commander Odierno, hold a roundtable with Iraqi women and have a townhalll with Iraqi citizens who work with Provincial Reconstruction Teams. Secretary Clinton did have a meet and greet with US Embassy Baghdad employees and US troops during her brief visit. Check out the video and transcript here. As has been rumored for weeks, President Obama announced yesterday his intention to nominate Robert O. Blake for Assistant Secretary of State for South Asian Affairs (SCA). Ambassador Blake is a career Foreign Service Officer. He entered the Foreign Service in 1985. He has served at the American Embassies in Tunisia, Algeria, Nigeria and Egypt. He also has held a number of positions at the State Department in Washington. Most recently Ambassador Blake served as U.S. Ambassador to Sri Lanka and to the Republic of Maldives. Before that, he served as Deputy Chief of Mission at the U.S. Mission in New Delhi, India from 2003 to 2006. Ambassador Blake earned a B.A. from Harvard College in 1980 and an M.A. 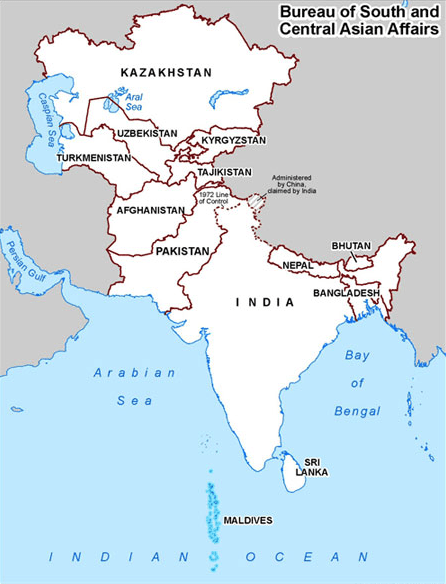 in international relations from the Johns Hopkins School of Advanced International Studies (SAIS) in 1984. In February 2007, BBC News reported that Ambassador Blake and Italian Ambassador Pio Mariani were hit after getting off a helicopter at an air base in Batticaloa, where they were to attend a development meeting. Mr. Mariani received hospital treatment for head wounds. Mr Blake had minor injuries and flew back to Colombo. Soon after the incident, Sri Lankan air force planes bombed suspected Tamil Tiger positions in the east of the country. The long running conflict has been on since 1983. Ambassador Blake is married to Sofia Blake. He is also the son of of Robert O. Blake, retired U.S. Ambassador Extraordinary and Plenipotentiary (Mali). There had been other multi-generational families in the State Department (e.g. John Adams and son, then grandson) but not many who served as ambassadors and not in recent memory (this detail of diplomatic history has not been updated in a while I think). More coverage and links on this from Danger Room here.